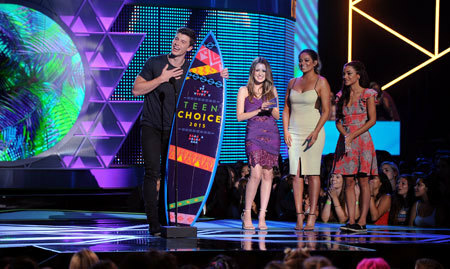 The "Teen Choice Awards" aired Sunday August 16th from the University of Southern California's Galen Center in Los Angles, gathering some of the biggest stars in music, movie, TV and the Web world to let the fans decide who wins. 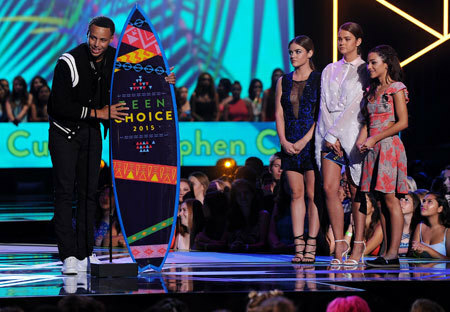 Hosted by Chris “Ludacris” Bridges, Gina Rodriguez and Josh Peck, TEEN CHOICE 2015 featured performances by EMPIRE’s Jussie Smollett and Bryshere “Yazz” Gray, 5 Seconds of Summer, Flo Rida and Robin Thicke, Little Mix and Rachel Platten. 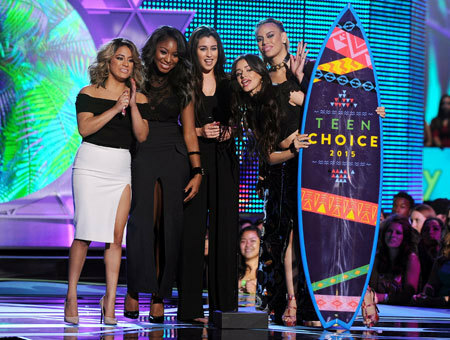 Candie's girls, Fifth Harmony, presented the “Candie’s Choice Style Icon” award to Britney Spears, whose trendsetting style has made her a permanent fixture in pop culture and a true fashion innovator. 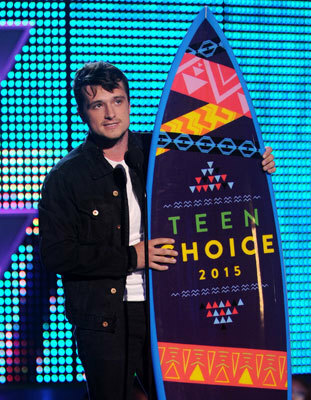 Find out which of your favorite stars won their own Surf Board! Jamie Camil - "Jane The Virgin"
Candice Accola - "The Vampire Diaries"
Jennifer Morrison - "Once Upon A Time"
Danielle Panabaker - "The Flash"
Emily Bett Richards - "Arrow"
Eliza Taylor - "The 100"
Did you vote for your favorite star this year? 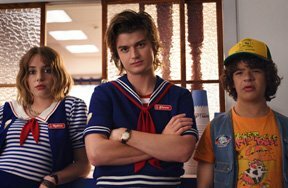 Did your favorite star win? Comment below and let us know! Fifth Harmony: The New Face of Candies!